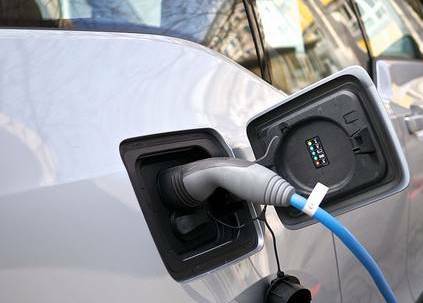 The government has proposed a ban on all petrol and diesel cars by 2040 to encourage people to turn to electric vehicles. Have you ever considered an electric car? • You can charge an electric car at home using a standard 13 amp three-pin plug and an Electric Vehicle Supply Equipment (EVSE) cable. Alternatively you can use a home charging point that has built-in safety features and will deliver faster charging. • A home charging point is a compact weatherproof unit that you can mount in a garage or on a wall outside, near to where you park. It has a connected charging cable or a socket for a portable charging cable. • An electric car charging points should be professionally installed. A certified charging provider will include the installation cost in the price of the unit. • Grants are available towards the cost of installing a charging point from the Office for Low-Emission Vehicles (OLEV). You can find out if your choice of vehicle is eligible for a grant at www.gov.uk/plug-in-car-van-grants. • A full charge can take between four and eight hours on average. • The cost of running and electric car can be from 2p per mile, compared with 15p per mile for petrol or diesel cars. • There are currently over 20 different car charger networks in the UK and, according to Zap Map, there are almost 5000 locations (27 December 2017). • To use public charging points you will need to register and receive a dedicated swipe card for each network you would like to use, or you can pay a monthly subscription fee. • Many businesses, hotels and service stations are also providing charging points.